One by one, Kevin Sly and six other Grambling State University students rose from their seats, walked across the stage and were hooded by President Rick Gallot as newly minted graduates of the school’s doctoral degree program. 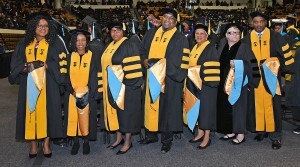 The group of seven made history as the largest single class of doctoral graduates in the institution’s history. 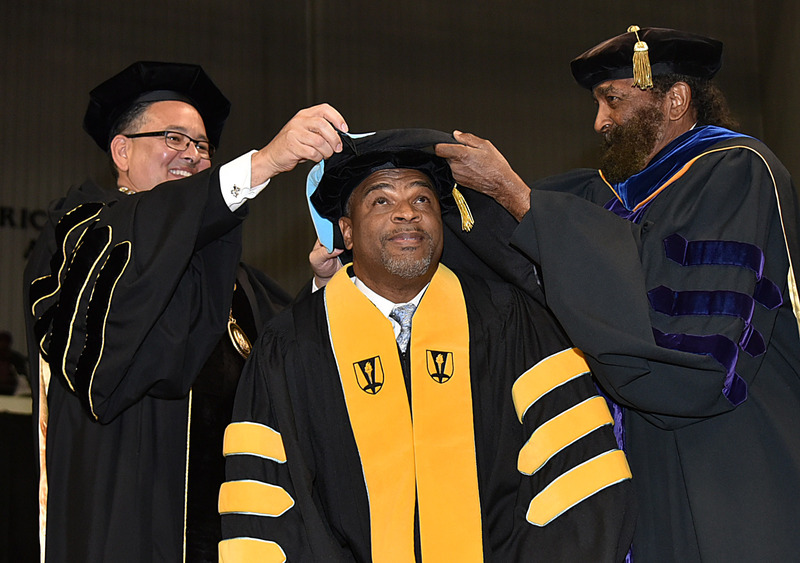 During the Friday (Dec. 15) commencement at Fredrick C. Hobby Assembly Center, Sly, 57, was one of 342 students awarded diplomas for successful undergraduate and graduate studies. Sly, a faculty member at GSU’s College of Business, spent several years doing double duty, teaching and studying, to make this dream come true. 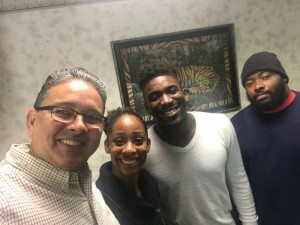 Sly and Ozz joined Rosemary Agbor of Austell, Georgia; Mary Jane Cahee of Ruston, Louisiana; Christine Crowder of St. Louis, Missouri; Rudolph Ellis of Belize City, Belize, and Cynthia Hester of Shreveport, Louisiana, to make up the historic doctoral group. 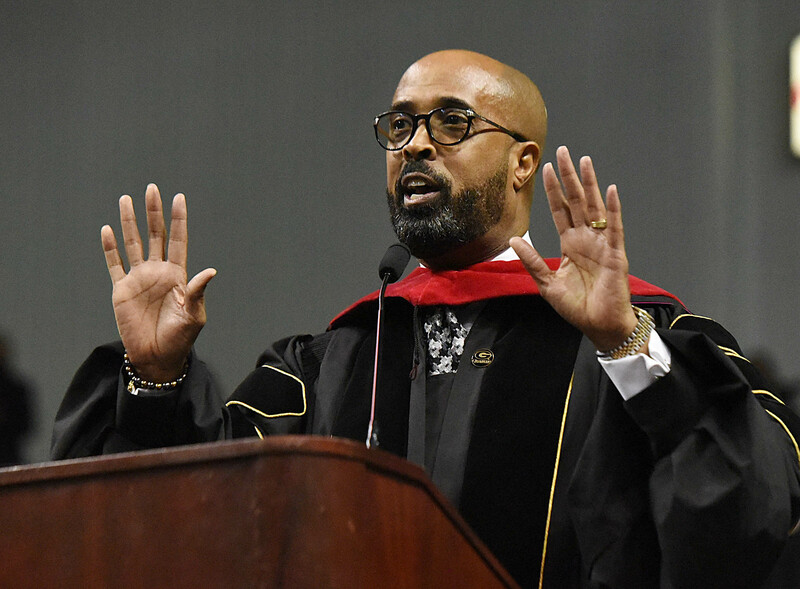 The graduates, family, friends, faculty, staff and other students heard the Rev. Dr. Frederick Douglass Haynes deliver an inspirational speech about perseverance and setting goals for one’s self while helping others. 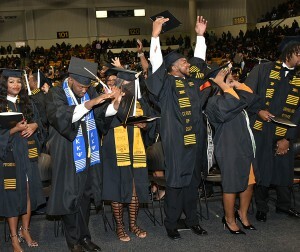 The graduates in Grambling weren’t the only ones listening to Haynes as he delivered his talk to several standing ovations. Because head football coach Broderick Fobbs, his coaches and the G-Men football team are playing for the HBCU national championship in Saturday’s Celebration Bowl in Atlanta, another group of graduates participated in an off-site commencement program at the AT&T Midtown Center. Star running back Martez Carter was one of several football program student-athletes to walk across the stage in a multipurpose room with several others who were joined by Fobbs, GSU officials, family and friends. 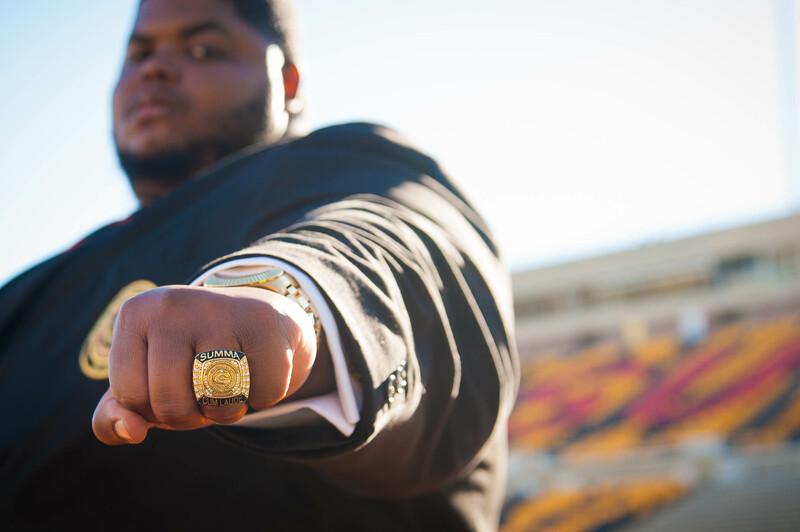 After hundreds of classes, papers, midterms and finals, Prentiss Smiley will cross the stage at Fredrick C. Hobdy Assembly Center with 349 of his peers participating in commencement at Grambling State University on Friday (Dec. 15). However, as the top fall graduate, Smiley will have the distinct honor of addressing his peers when he delivers his valedictorian speech. 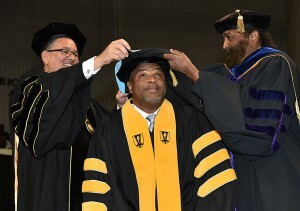 Even though he was a double major in the fields of computer information systems and history, Smiley did not let that stop him from achieving great success in and out of the classroom. He received numerous awards and recognitions, including the Carter G. Woodson Award, Thurgood Marshall-Wells Fargo Scholar, Earl Lester Cole Honors College inductee and Louisiana Economic Development Scholar, to name a few. He also was a Student Government Association senator. 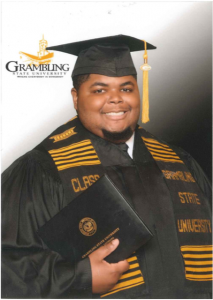 “I chose Grambling because I am a third-generation Gramblinite and my grandfather played baseball at Grambling. 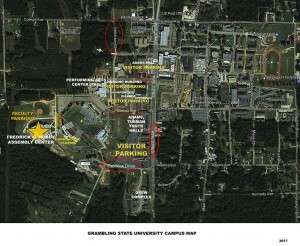 My grandmother’s mom, dad, aunts, and uncles all attended Grambling State University. 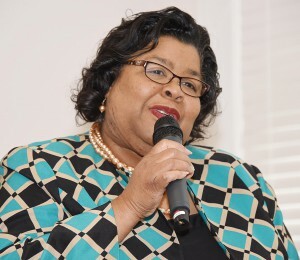 Therefore, the decision was easy,” said Smiley, whose mother named determined that he would carry her maiden name because he is the only grandson of the late Charlie James and Etta Hunter Smiley. His mother is GSU Vice President for Academic Affairs and Provost Ellen Smiley, and his father is Rory Bedford, GSU’s director of continuing education and service learning and professor of sociology, psychology and philosophy. Smiley hails from Homer, Louisiana. “My future plans include: earning a PhD, becoming a researcher, author, public speaker, entrepreneur, and venture capitalist.” Smiley said. 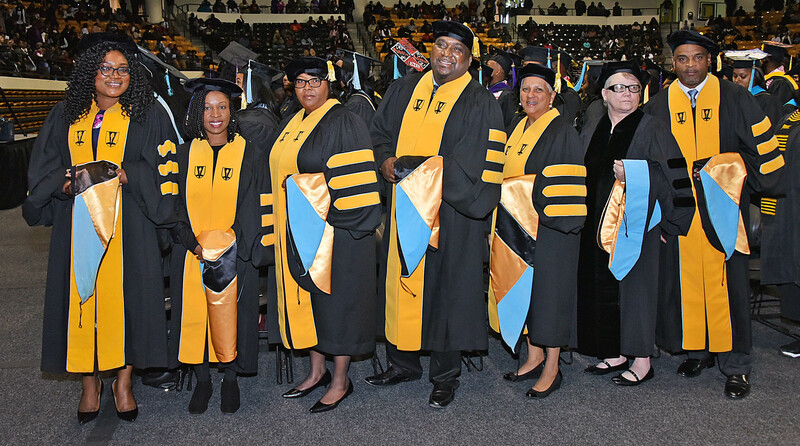 Grambling State University’s School of Graduate Studies and Research will make history at the 2017 fall commencement on Friday (Dec. 15) as seven students earn doctorates in developmental education (Ed.D.). The ceremony begins at 10 a.m. at the Fredrick C. Hobdy Assembly Center, 100 North Stadium Drive, Grambling State University, Grambling, LA. The Ed.D. graduates are among the 350 graduates who head out into the world where they will join thousands of GSU alumni. One of the doctoral candidates, Kevin Sly, a GSU business college faculty member, said he is blessed to have had such success. “All my professors from my undergraduate Computer Science program, to my major professor in the doctoral program, have been more than I can ask for! 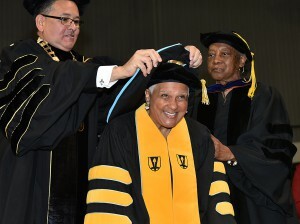 Major Professor: Vernon L. Farmer, Ph.D.
Major Professor: Andolyn B. Harrison, Ph.D. 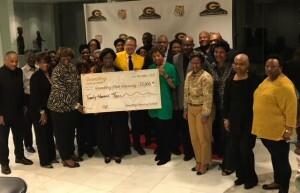 The Grambling Friends of Football has contributed $20,000 to support Grambling State University. The donation was presented to GSU President Rick Gallot at a reception during the Southwestern Athletics Conference weekend of activities in Houston. 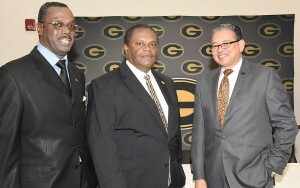 The event, held at the offices of Grambling University Foundation Board member Wayne McConnell, was attended by alumni and friends as well as Foundation Chairperson David Aubrey; GSU Vice President for Institutional Advancement Marc Newman; Miss Grambling, Jimmitriv Roberson, and her court and GSU Student Government Association President Adarian Williams. Shelia Carr, the group treasurer, said the money came from committed alumni and friends, and the giving won’t stop. 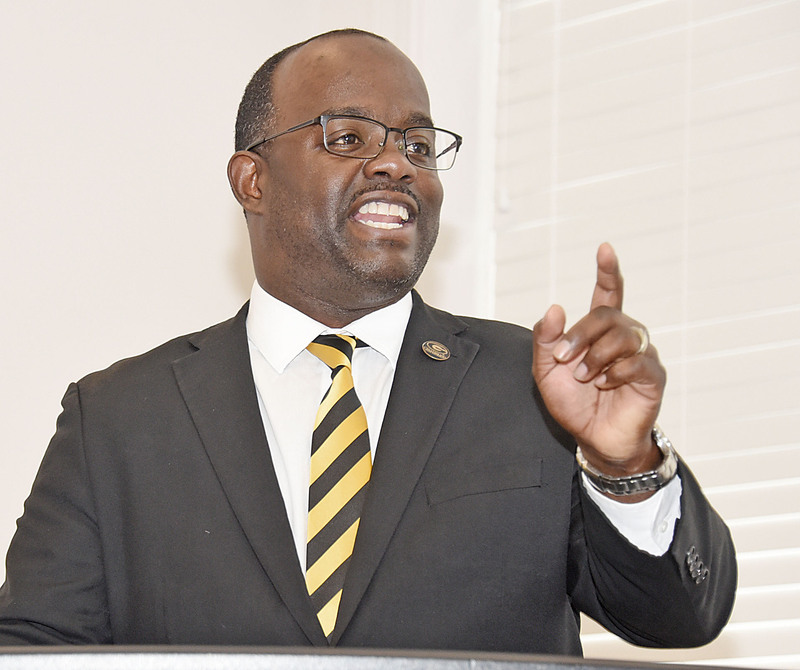 Carr noted that despite the name of the group, its members give to the school’s football program, other athletics programs and academic needs. In fact, this large amount is going to the institution’s GAP fund, for students who have a gap between the amount of money they have available and the amount they need to stay in school. 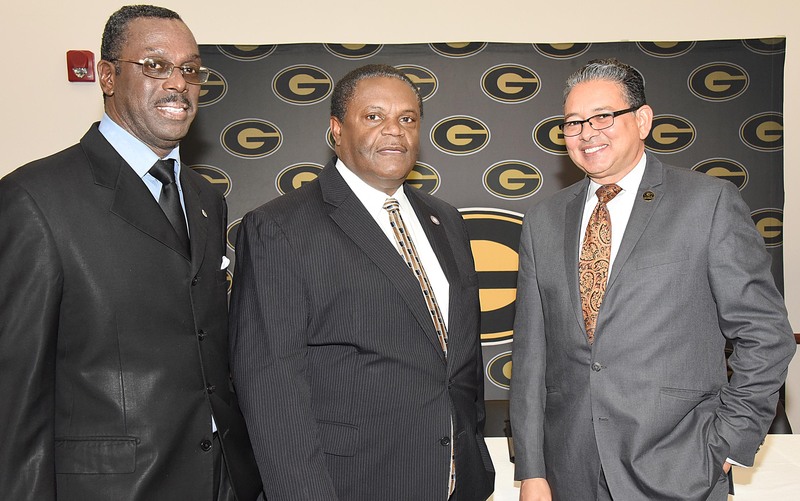 Friends of Football has a long history of supporting Grambling State University Athletics. 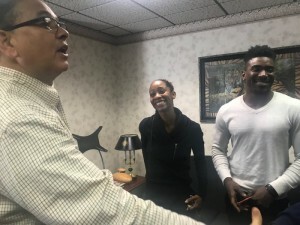 Although Football is in the group’s title, the organization supports all GSU sports, and they recently supported fundraising for women’s basketball program rings. Thomas Jones, president; Issac Tatum, vice president; Jackie Pope, secretary; Shelia Carr, treasurer and Fred Holts, parliamentarian. The Louisiana Board of Regents on Monday gave Grambling State University the green light to proceed with plans to establish the first undergraduate cybersecurity degree program in the state. The Regents unanimously approved GSU’s Letter of Intent to develop the new academic program. 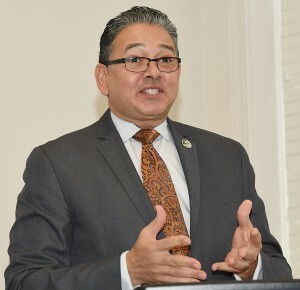 “Now we have to develop curriculum and the program in concert with faculty, corporate partners and industry leaders in cybersecurity,” GSU President Rick Gallot said. Once those components are in place, the university will return to the Regents for final approval of the new degree program. The Regents’ approval of GSU’s Letter of Intent follows that of the Board of Supervisors for the University of Louisiana System in August. 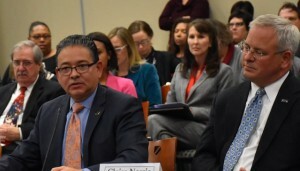 The approved letter of intent touted the unique program and outlines the diverse 120-credit curriculum designed to prepare students for the rapidly evolving 21st Century economy. Gallot said cybersecurity is an important part of the university’s effort to strengthen its academic offerings and provide cutting-edge, relevant professional opportunities for students. An estimated 2 million cybersecurity workers will be needed by 2019, and there’s been a 3500 percent growth in cybersecurity spending since 2004, he said. 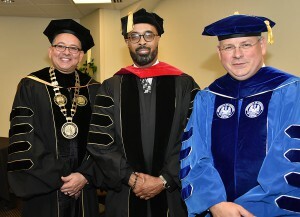 Grambling is well positioned with its current computer and information sciences degrees to add this new degree. During a presentation before the Regents, Gallot quoted Gov. John Bel Edwards when the governor commented about his executive order establishing a cybersecurity commission on Dec. 7. 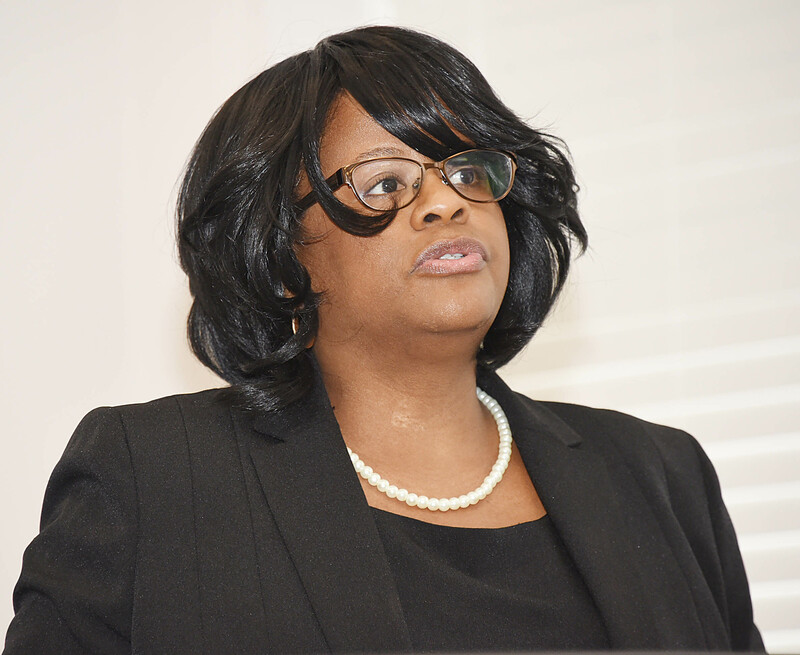 “’We must continue our commitment to establishing cybersecurity capabilities and resources…,’” the GSU president quoted Edwards as saying. More than 350 students are expected to graduate during the Grambling State University (GSU) fall 2017 commencement exercises at 10 a.m. Central, 11 a. m. Eastern, on December 15, 2017, in the Fredrick C. Hobdy Assembly Center in Grambling. The university will award 268 bachelor’s degrees, 95 master’s degrees and 7 doctorates. 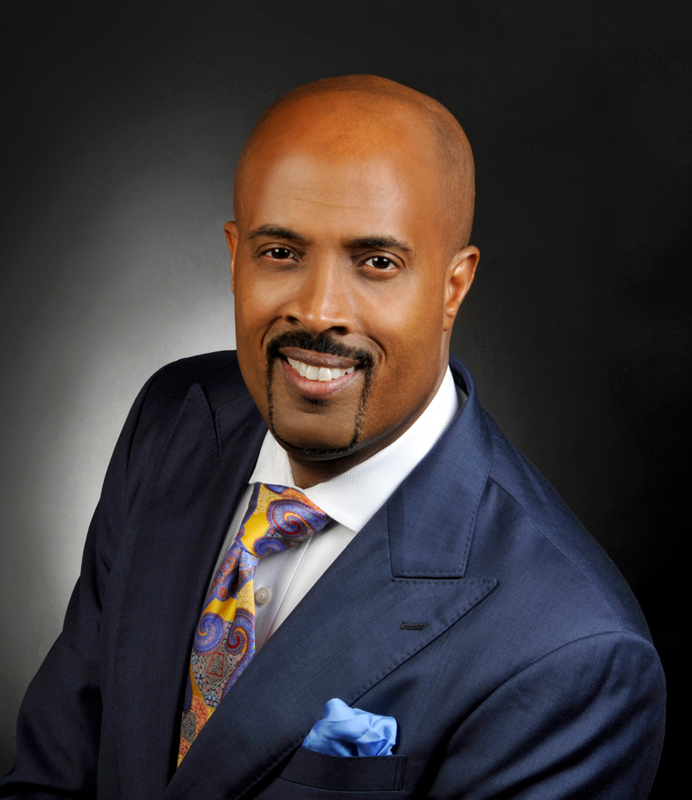 GSU’s commencement speaker will be Dr. Frederick Douglass Haynes, III, Senior Pastor at Friendship-West Church in Dallas, TX. Dr. Haynes is a social activist, orator, and educator. He is committed to advocating for economic justice for under-served communities and to empowering the disenfranchised. 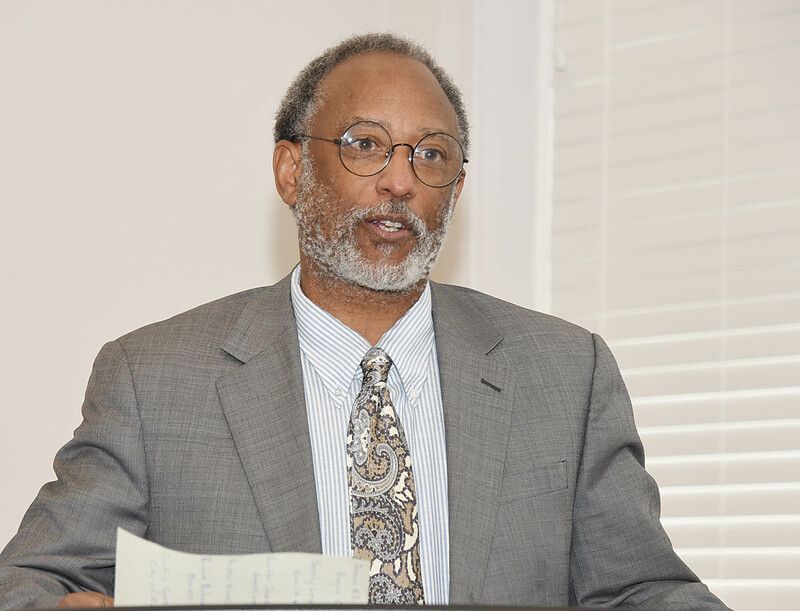 Dr. Haynes has received numerous awards and honors for his ministry and activism. 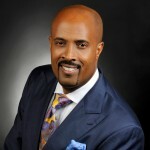 Ebony Magazine named him to its “Power 100” list of most influential African Americans in 2012. 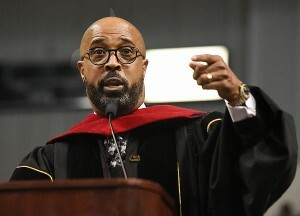 He has been inducted into the National Black College Alumni Hall of Fame. He was honored to give remarks at the memorial service of one of the most respected world leaders of the 20th and 21st centuries, South African President Nelson Mandela. A special, off-site commencement program is scheduled for 11 a.m. Eastern at the AT&T Metro Center in Atlanta. Thanks to the generous support of AT&T, several GSU football program student-athletes will graduate in a special ceremony in a corporate multipurpose room in advance of Saturday’s Celebration Bowl football game. The Grambling State University Army ROTC will host a commissioning ceremony on Thursday, Dec. 14, at 10 a.m. The keynote address will be given by Colonel (Retired) Jeremy M. Martin, Director of Public Affairs and Outreach at Bell Helicopter, National Capital Region, and Former Chief of Staff in the Office of the Assistant to the Secretary of Defense for Public Affairs. Refreshments and fellowship will follow in the Black and Gold Room. Three cadets will be commissioned. The Army ROTC will conduct an oath of office during graduation. Commencement rehearsal will be held at 9 a.m. Wednesday, Dec. 13, at the Fredrick C. Hobdy Assembly Center. On Dec. 15, graduates should arrive at the Assembly Center at 8 a.m., while faculty, staff, and students participating in the ceremony will assemble at 8:30 a.m. 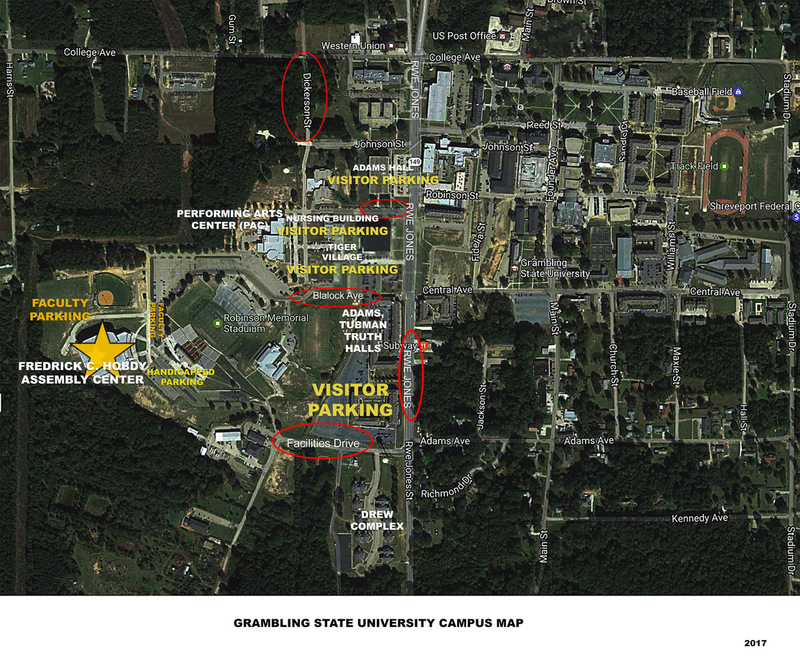 Visitors attending the commencement at the Assembly Center are asked to park in the designated locations. There will be a drop-off and pick-up area in front of the Assembly Center for those needing additional assistance, but this is not a parking area. Graduates are asked to park in the parking spaces near the Eddie G. Robinson Memorial Stadium sign closest to the Conrad Hutchinson Performing Arts Center to allow family and friends to park closest to the Assembly Center. Parking spaces will be monitored and proper credentials must be displayed or vehicle will be towed. No curb parking — violators will be towed. The doors to the Assembly Center will open at 7 a.m. No visitors will be allowed to enter the Assembly Center before 7 a.m. All audience members should arrange for their parties to be seated at the same time. SAVING SEATS FOR OTHERS WILL NOT BE ALLOWED. Ushers will be monitoring the rows to ensure that all seats are filled. While waiting for commencement to begin, please be respectful and courteous to others attending the ceremony, mindful of any instructions made by Grambling employees working at commencement, and listen carefully to any pre-commencement announcements. Everyone attending the commencement is asked to be respectful of others who want to hear the names of their graduate called, to see their graduates in the procession and receive their degrees. To ensure that this formal event is as enjoyable for everyone as possible, NO CONGRATULATORY BANNERS, FLAGS OR AIR HORNS WILL BE ALLOWED INSIDE THE ASSEMBLY CENTER. Only university-authorized campus and external media will be allowed on the floor of the Assembly Center to shoot and film the event. Only media with university-recognized media credentials will be allowed on the center’s floor, and only authorized campus and external media representatives with university-issued media passes will be permitted on the floor. All others will be asked to clear the area. To watch a live broadcast of commencement, visit www.gram.edu and click on the “Watch 2017 Fall Commencement Live” link on the right side of the webpage in the “Spotlight” section. The live broadcast will be available 10 a.m. on Dec. 15. In addition, KGRM-FM will broadcast the entire commencement live. Tune in at 91.5 FM starting at 10 a.m. The station will broadcast until diplomas are awarded. Visit www.gram.edu and click on the link at the right of the homepage to listen to KGRM live. External media are asked to contact the Office of University Communications at mediarelations@gram.edu or 318-274-2203 for information regarding admittance to commencement and to make interview requests. All external media must park in a designated parking area in the loading dock area at the back of the Hobdy Assembly Center, and are required to show media credentials. External media are asked to enter at the back of the building. This entry was posted in Uncategorized on December 11, 2017 by Greta Carter. 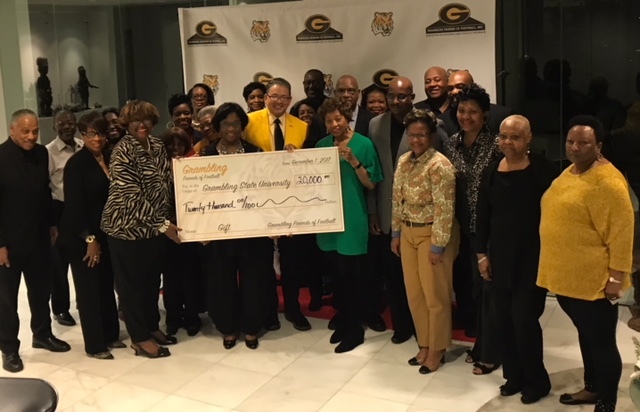 This year’s Grambling State University Student Recruitment Video Contest urged students to address the theme “Why I Chose GSU.” Several student teams submitted videos showcasing love for GSU. Coming out on top and earning the first place $2,000 scholarship aware were mass communication majors Nia Pressley, Rannie McCaston and Brian Nichols. Pressley, 25, a junior from Los Angeles, California, and McCaston, 25, a junior from Houston, Texas, creatively listed the benefits of attending Grambling, including how being a Grambling State student has a positive impact on lives and why GSU is a great place to go to college. They produced, directed and edited the video, and Nichols shot some of the video. GSU President Rick Gallot started the contest in the first few weeks of his first year in office, early in the 2016-2017 academic year, as a way for students to promote GSU. The student videos are used to bring a more student-centered focus to some of the university’s recruiting efforts. Representatives from the university admissions, GSU TV Center and university communications judged the entries. Pressley and McCaston were overjoyed when they were informed that they had won the grand prize, a $2,000 scholarship. “When I learned we won, I screamed; literally. I just screamed and screamed. I was so happy that our hard work paid off and that we did it!” said Pressley. “Winning first place for the contest validated the progress of everything I’ve done since I bought my camera,” added McCaston. 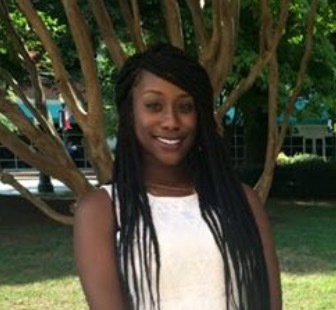 Second place winner Se’Dashia Thornton has been awarded a $1,000 scholarship. The third-place winners, Mionne Destiny Featherstone and Ashirah Simpson, will share a $500 scholarship. 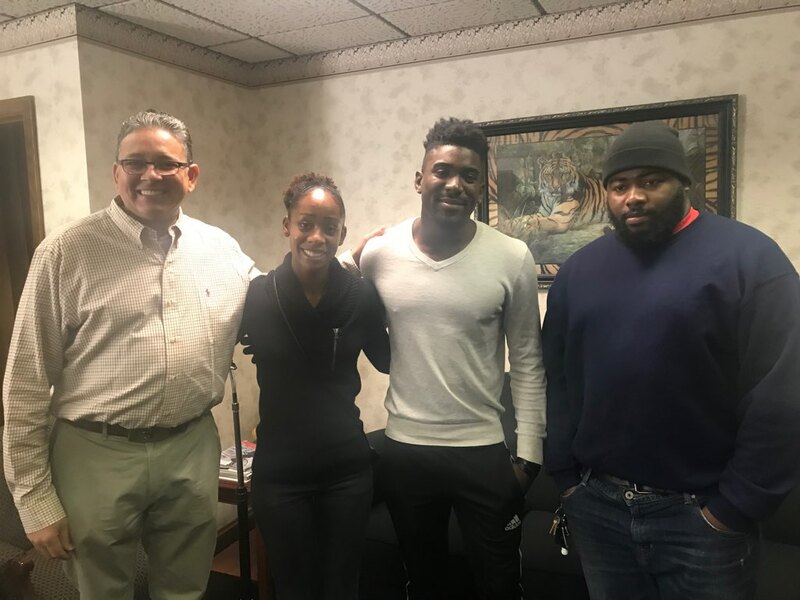 Grambling State University and clergy from Monroe, Louisiana, have formed a joint partnership to help train GSU students become strong career professionals as they assist with the long term flood recovery in Ouachita Parish. During a Thursday (Dec. 7) morning program in the Doris Robinson Room at the Eddie G. Robinson Museum on the GSU campus, Grambling State President Rick Gallot, Monroe Mayor Jamie Mayo and a host of university and Monroe clergy joined to be a part of a big effort to help a neighboring parish recover from a devastating March 2016 flood. During a storm that month, flooding damaged 5,357 homes, 5,230 rental units and 640 commercial structures in Ouachita Parish. A number of drainage structures, pumping stations, levees and roadways were also flooded. “Since the founding of this institution in 1901, we have placed a high priority on making our communities a better place, and providing opportunities that will allow our students to have real life, relevant, hands-on experiences,” said GSU President Rick Gallot. 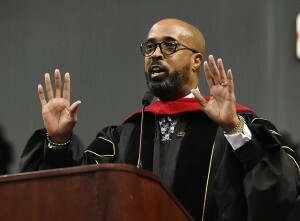 Minister Earl Davis, a co-founder of the clergy group, said one of the most important things about the partnership is the connection to GSU’s “intellectual capital” and a community-based footprint that connects the institution directly to citizens. Earl Randall III, the U.S. Department of Housing and Urban Development housing field coordinator and field office director, and Crystal Jones-Taylor, HUD’s housing team lead and faith based and neighborhood partnership liaison joined the event, as did Harold Lathon, the recovery coordination task force lead with the Federal Emergency Management Agency (FEMA). 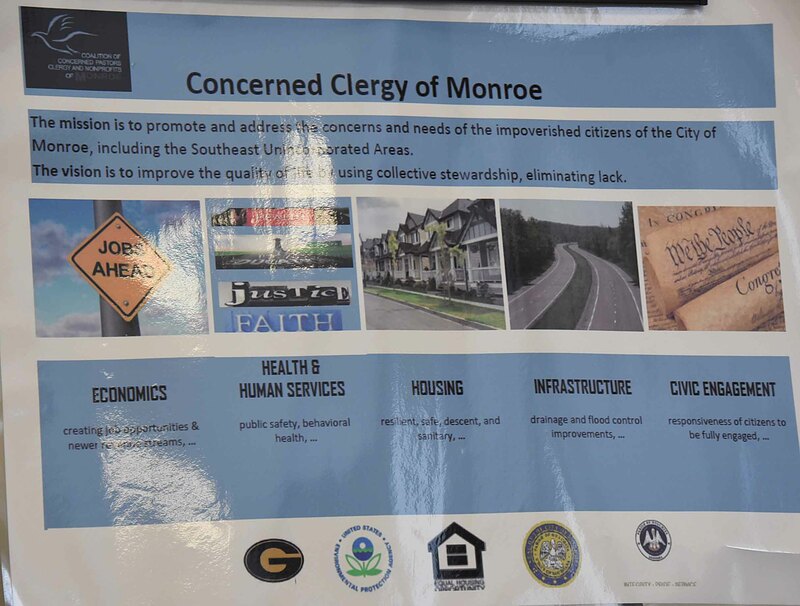 Grambling State’s School of Social Work will work with Concerned Clergy of Monroe to identify money to support a qualitative study looking at the impact of spirituality on disaster recover. Among other things, the school will work with GSU’s Department of Criminal Justice to develop a comprehensive analysis of data reported for Monroe to extract/exclude data that is a part of the Monroe Crime Statistics Reports that is data for neighboring cities with the goal of supporting the needs of parish youth. In particular, a Youth Empowerment Coalition will be created to help parish youth be more actively engaged. 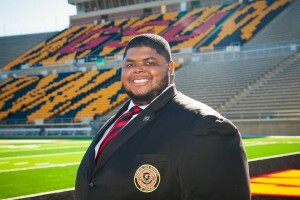 Grambling State students will serve as mentors and assist with the program. Master’s degree students may assist with specific educational training may work with the clergy to identify job incentive opportunities. The university’s Engineering Technology Department will identify housing needs for low-income citizens and identify federal and state funding options to support home renovations for those affected by the flood. The department will also look at infrastructure issues. 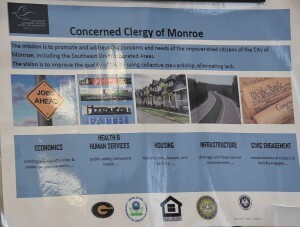 The Concerned Clergy of Monroe will work with Grambling State to coordinate and implement program elements, including making the community aware of the efforts, assisting with identifying participants, providing meeting spaces, assisting with identifying housing needs and helping to identify financial support opportunities. HOUSTON — David “Rusty” Ponton can be found running from one side of Grambling State University’s campus to another, always on a mission for students. On Saturdays in the fall, he is on the sideline at home and away games, rooting for the G-Men. 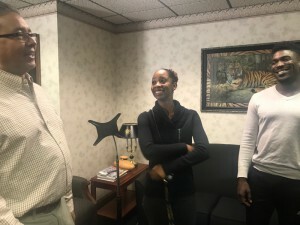 He was running from one place to another back in the 1980s, only it was on the campus of Southern University A&M State University as a jaguar attending GSU’s primary in-state rival on the Baton Rouge bluff. 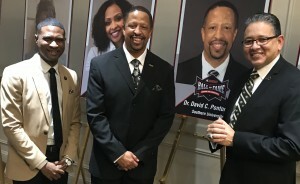 Ponton was inducted to the 2017 Southwestern Athletic Conference Hall of Fame for his time playing as the Jaguars’ point guard, including a 1985 SWAC championship. 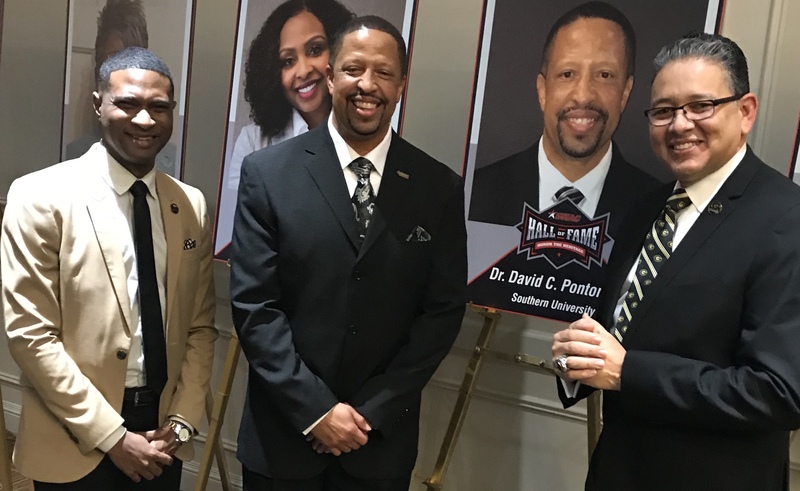 He was one of nine league contributors honored Thursday (Nov. 30) at a Hall of Fame Induction ceremony at The Westin Galleria in Houston. When he got the initial call, Ponton was surprised. Ponton’s name is etched in Jaguars basketball lore as one of the top point guards in the SWAC during the mid-1980s. Ponton led the Jaguars in steals and assists in 1983 and 1985-86, and he led the Jaguars to the program’s second NCAA tournament berth in 1985. A longtime friend, Keith Benton, was elated when he heard about Ponton’s induction. He described Ponton as an energized guy, a hustler, a go-getter and a crowd pleaser. Ponton was one of Southern’s greats, but the same could be said about his time at Grambling, said Benton. Ponton was handed the coaching baton when he took leadership of the Lady Tigers leading them to consecutive success. Under his tutelage, the Lady Tigers had near unprecedented success on the hardwood, claiming three straight conference crowns from 1997-99. He was selected as coach of the year three times during his tenure. However, he was more than a coach. He served as a mentor, guiding students’ academic success and contributing to good life choices. 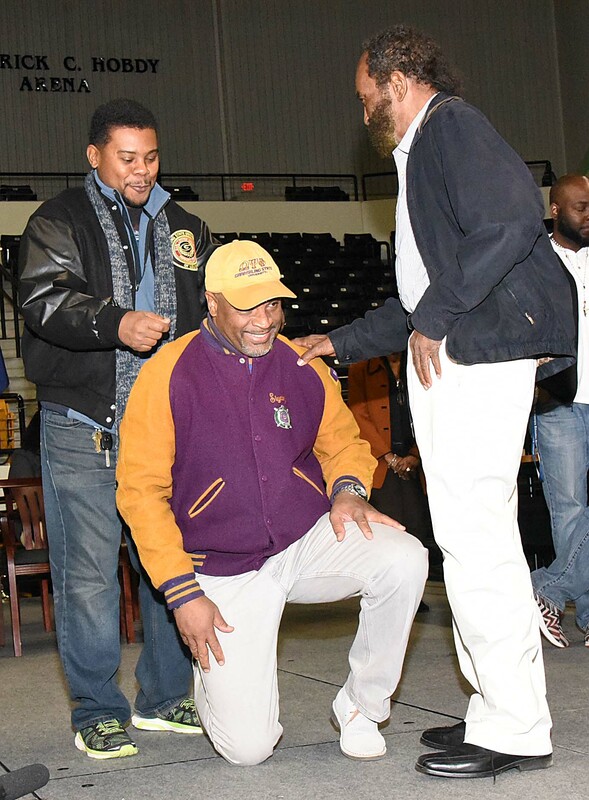 Ponton was an assistant coach for the G-Man basketball team in 1988, the year Grambling took home the SWAC tournament championship. 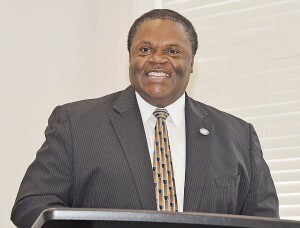 After his coaching days, Ponton transitioned into administrative roles at Grambling State University, serving for nearly 30 years. Grambling State President Rick Gallot was thrilled to have one of his top leaders being recognized for his time at Southern. He said Ponton is an exceptional individual whose done so many things in higher education at Grambling — and at Southern. Jasmine Mitchell, a junior biology major from Chicago, Illinois., recently was presented a $500 Louisiana Legislative Black Caucus Scholarship. The award was presented during an annual Bayou Classic jazz brunch hosted by the caucus in New Orleans.